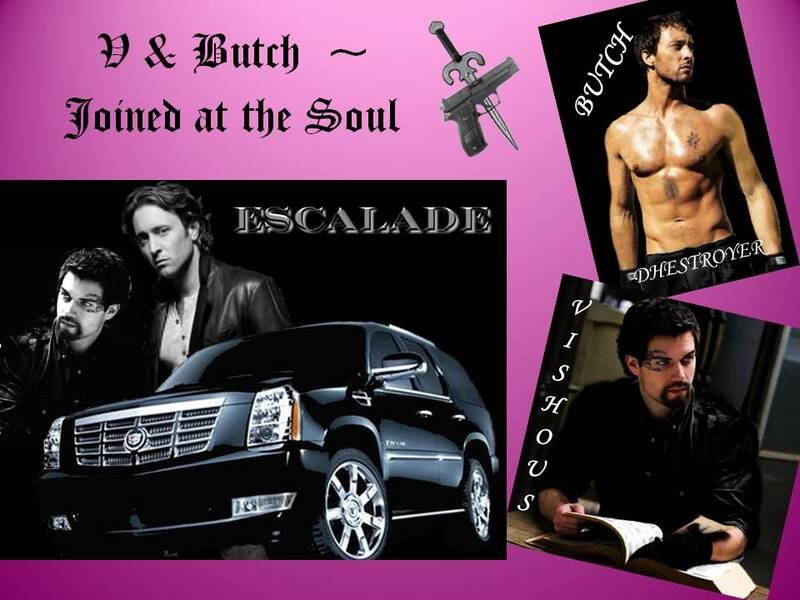 V & Butch w Escalade. . HD Wallpaper and background images in the La Confrérie de la Dague Noire club tagged: black dagger brotherhood vampire. This La Confrérie de la Dague Noire photo might contain signe, affiche, texte, tableau noir, tableau, affiches, anime, bande dessinée, manga, and dessin animé. Who are the models in this picture? The "Butch" one looks like Alex O'Loughlin from "Moonlight" but I can't figure out who the model for Vishous is. I know I'm 3 yrs late on this comment. I apologize but I stopped checking this site for reasons out of my control (so sorry). You're right about Alex O'Loughlin. Vishous is Henry Cavell. Don't remember where I got the shot from but when I searched it out afterward using a straight on head shot, it came from a Pinterest site called Oh Henry! by Tashika Brown. I can't find this angle but the straight shot is from that site. It's obviously been touched up to make him look darker, more "Vishous" but it's him. posted il y a 2 mois.